Screen Training Ireland and Animation Skillnet have announced the Animation and VFX Graduate Traineeship, trainees and host studios for the 2018/19 programme. Now in its fourth iteration, this highly successful programme takes place over a six-month period and is targeted at developing skills and talent in the Irish animation and VFX sectors. The programme will involve a mix of on-the-job learning and mentoring in host studios as well as additional specialist training delivered through Screen Training Ireland and Animation Skillnet. The Animation and VFX Graduate Traineeship programme will coincide with Schoolism Live Dublin taking place on Saturday the 20th and Sunday the 21st of October, where trainees will have an opportunity to hear from top talent in the feature animation and gaming sectors, including Stephan Martiniere, Megan Brain, Shannon Tindle, Sylvain Marc, Nathan Fowkes and The Black Frog; whose combined credits include ‘Guardians of the Galaxy’, ‘Fosters Home for Imaginary Friends’, ‘Coraline’ and ‘How to Train your Dragon’. Trainees will start their traineeship programme with a full week of intensive training from the 22nd October covering topics such as Storytelling, Storyboarding, Production Management, Production Pipelines, Emotional Intelligence, Personal Effectiveness, Career Management, Teamwork, Effective Communication and Creative Thinking Techniques delivered by industry focused tutors such as John Dawson, Patrick O’Callaghan, Stephen Fagan, Paul Timpson, Fiona Flynn, Carmel Morrissey and Pam Relton. 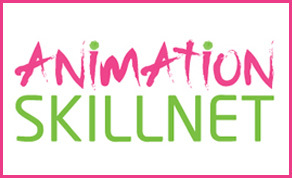 The Animation and VFX Graduate Traineeship is an initiative of Screen Training Ireland and Animation Skillnet, and supported by Screen Ireland/Fís Éireann, Skillnet Ireland and the Broadcasting Authority of Ireland.